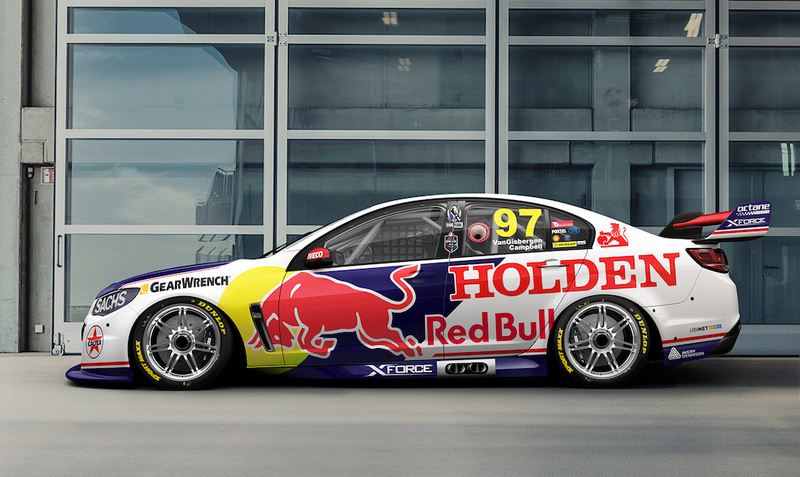 The Red Bull Holden Racing Team has revealed a retro-inspired look for next month’s Wilson Security Sandown 500. While not mimicking a particular livery from the past, the team says its look has been inspired by the Holden Dealer Team Monaros and Toranas of the late 1960s and early 1970s. It marks just the second time the Triple Eight team has run a one-off livery since linking with energy drink giant Red Bull at the start of 2013. Last year’s inaugural Sandown retro round saw the team’s crew adopt 1950s’ and ‘60s style overalls and hats but retain the regular season colours on its cars. Holden designer Peter Hughes was charged with putting this year’s retro livery together. 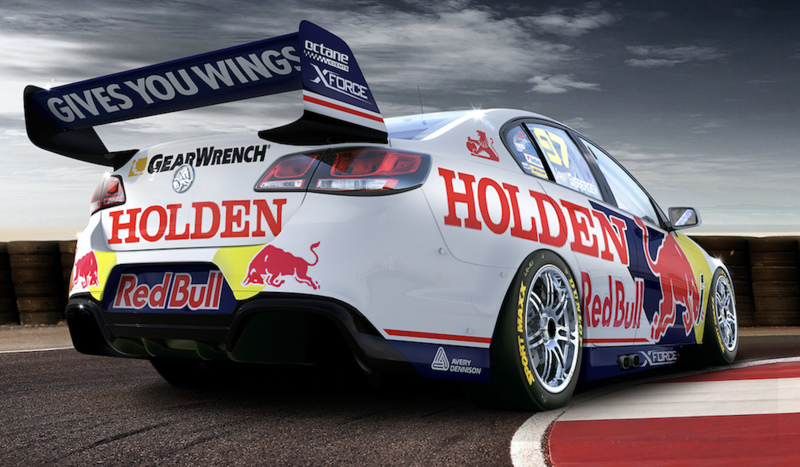 “This livery is a direct throwback to the glorious years of Holden’s original factory racing team, which I’m confident the fans will love,” he explained. “HDT’s 1971 GTR-XU1 Torana was drawn upon for the thick, simple red striping and placement of the historic Holden Lion on the c-pillar, combining it with the ‘70s Holden font on the rear quarter signage. The livery will be applied to both its #88 Jamie Whincup/Paul Dumbrell and #97 Shane van Gisbergen/Matt Campbell entries. 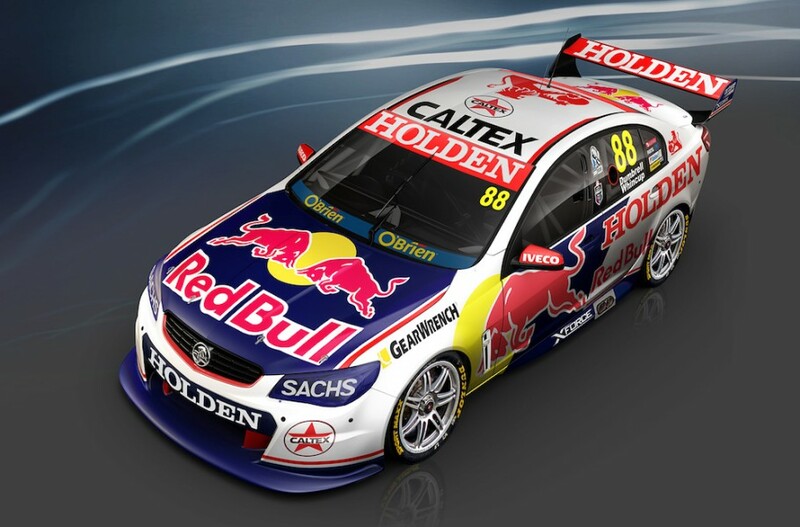 “To have a new livery on the car is exciting," Whincup said. “We didn’t do one last year, so that makes it even more special for the team this time, but I hope we get to bust out the retro flat caps again. “I think the retro theme is a great way for both fans and competitors to celebrate the heritage of our sport and Sandown is the perfect place to do it. Van Gisbergen is looking forward to racing the new look with new PIRTEK Enduro Cup co-driver Campbell. Despite close links with Ford earlier in his career, Van Gisbergen says that he was a Holden fan growing up and is looking forward to racing in the retro colours. “I think our Commodores will look awesome, they’re so different to what we usually race, hopefully the fans like our throwback livery as much as we all do,” van Gisbergen said.